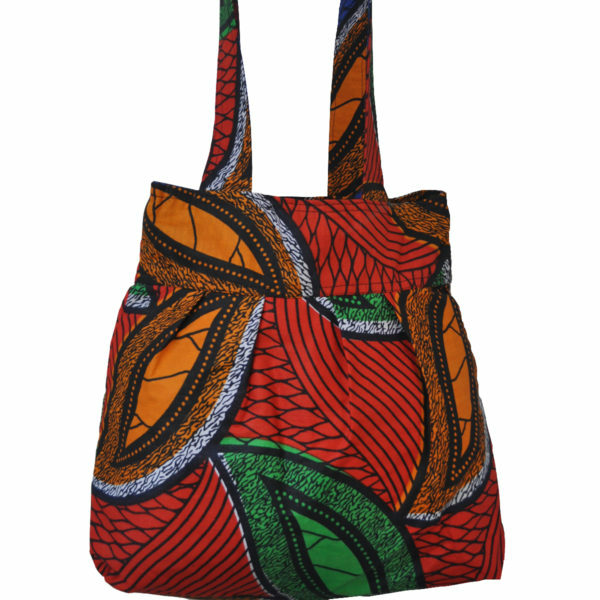 A perfect everyday bag, fantastic for school, work or leisure. 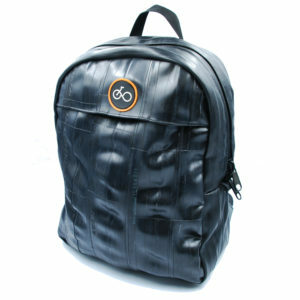 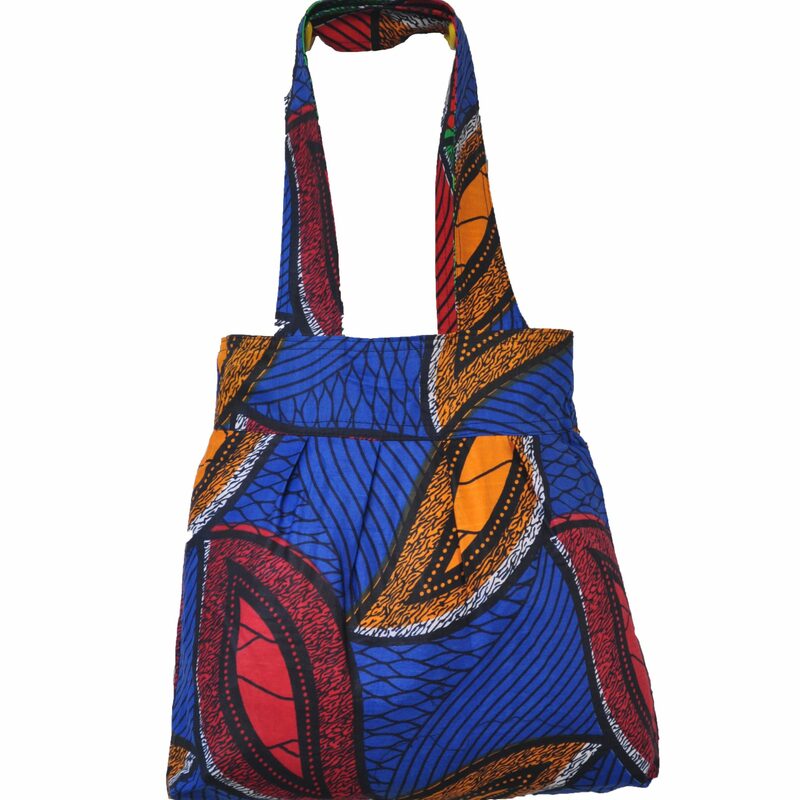 Large enough for books, your lunch or your laptop, this bag is just so versatile. 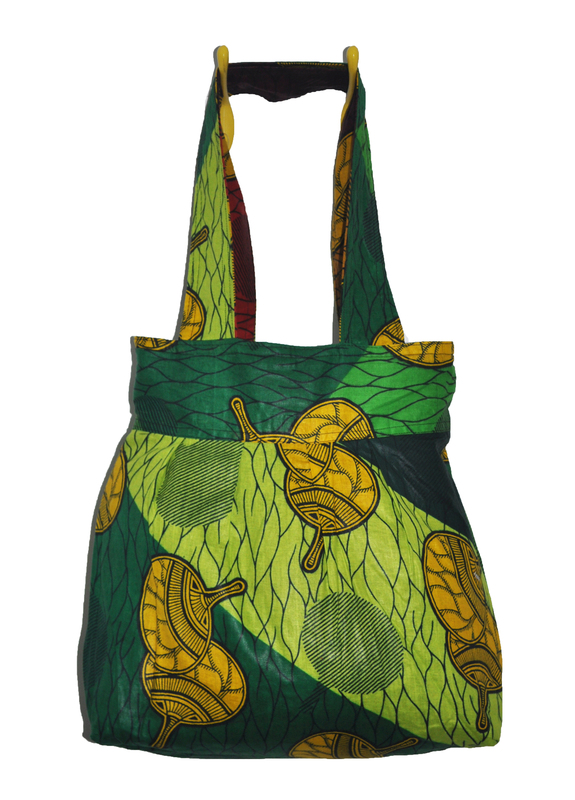 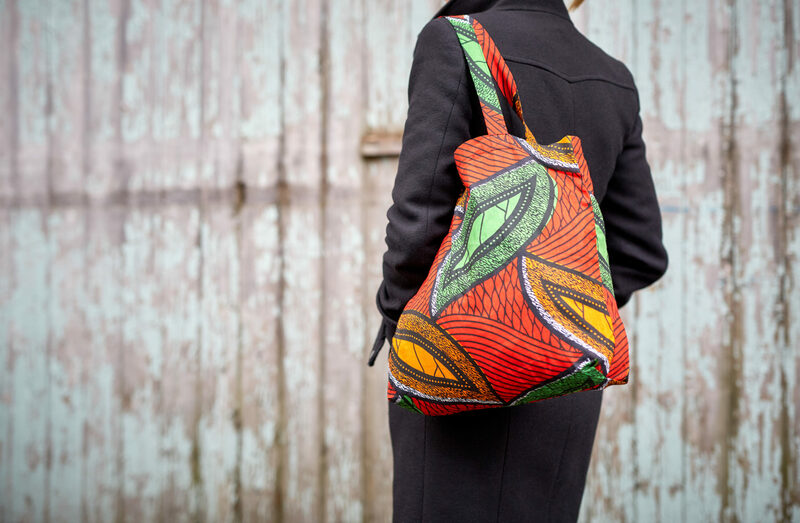 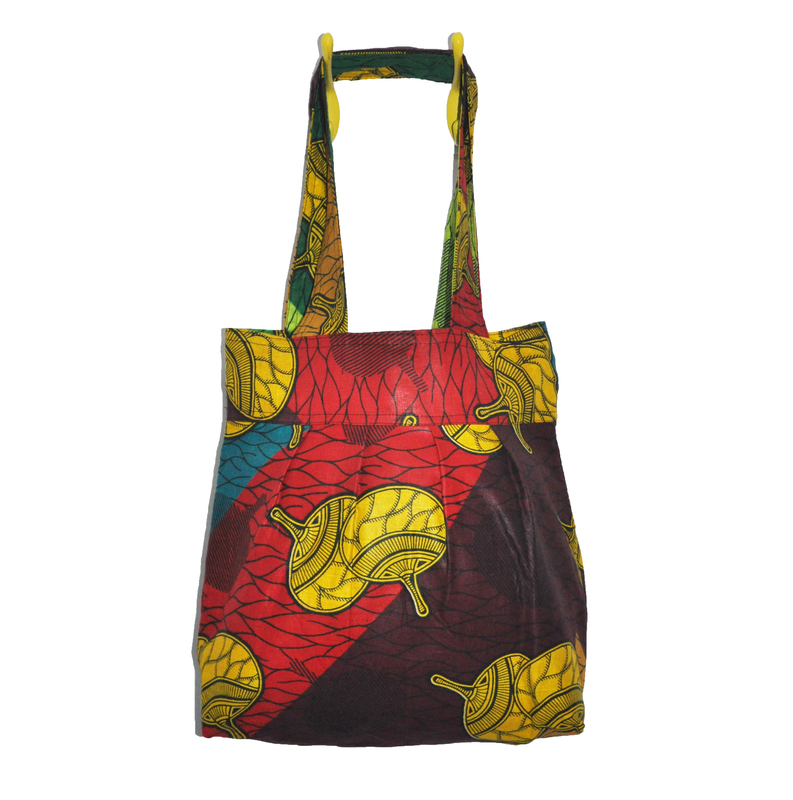 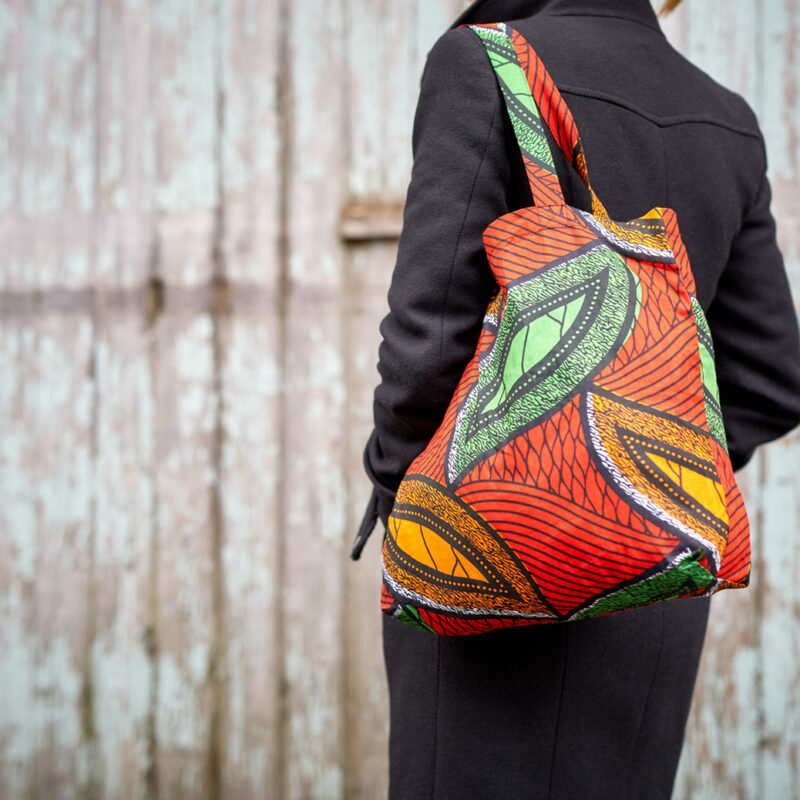 Handcrafted in Malawi from local wax print cotton known as Chitenge. 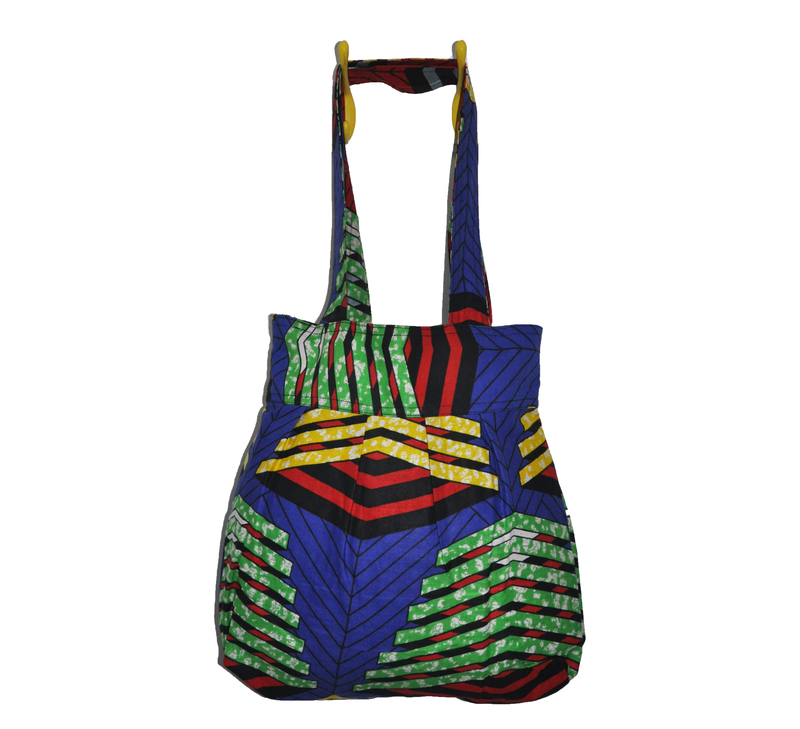 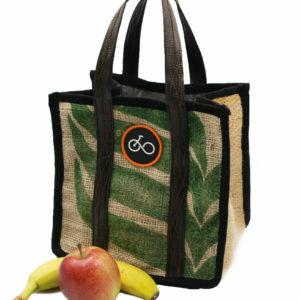 The bag is double seamed with two sturdy over the shoulder straps. 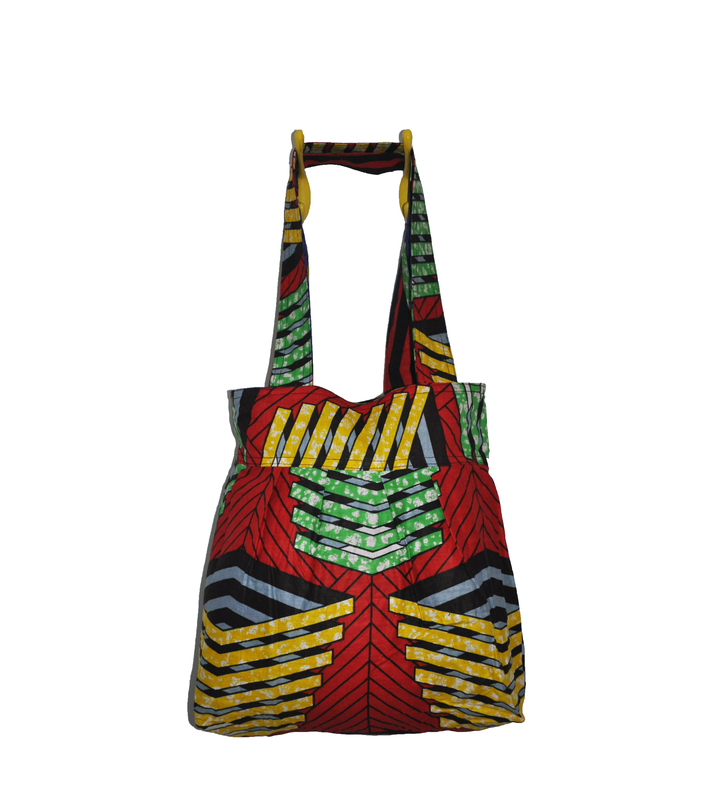 Two contrasting fabrics make this bag fully reversible, so you can change the look to suit your mood.